Artist Manss Aval has two photos, Inescapable and At the Beach showing in the upcoming Miami Photo Salon Festival at the Spectrum Art Show in Miami, Florida happening, December 2- 6, 2015. 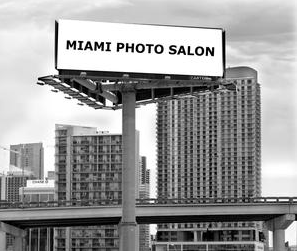 Miami Photo Salon Festival is an International Photography Festival that takes place yearly around Miami Art Basel week. The festival is put together with the support of the Miami-Dade County Department of Cultural Affairs and the Cultural Affairs Council, the Miami-Dade County Mayor and Board of County Commissioners. The 2015 Miami Photo Salon Festival ’s primary goal is to open a door for emerging artists to participate in a top-quality visual arts events. In addition to the Miami Photo Salon, a contemporary photography group show, Made in Miami, will take place at Del Castillo Art Studio in Hialeah, FL on Nov 28‐Dec 30. Another show, Through the Women’s Eyes, A Celebration of Women Photographers in South Florida will be open from November 20th to January 29th of 2016 at the New Professions Technical Institute’s Art Gallery.The Festival promotes interaction among the diverse communities across South Florida, and welcome photographers from all over the world participating in the several group exhibits that will take place in Miami-Dade County. An International Competition of Contemporary Photography, with additional group shows. This year’s festival includes a range of exhibitions from photographers in several venues. The 2015 festival builts around a thematic focus, and is celebrating photography as a medum without boundaries. 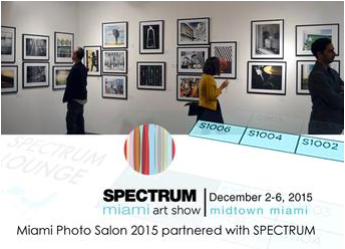 This year we are increasing the exposure of the Salon by partnering with Spectrum Art Fair Miami, so tens of thousands of collectors, gallery owners, curators, press, and art lovers will get in contact with our project. JURY The 2015 Juried Grand Prize winner will be chosen by a panel of three jurors that includes Switzerland-based photographer Luc Chessex, Miami-based visual artist Nereida Garcia Ferraz; and Miami-based radio host Pepe Forte, also a graphic designer, and photographer.